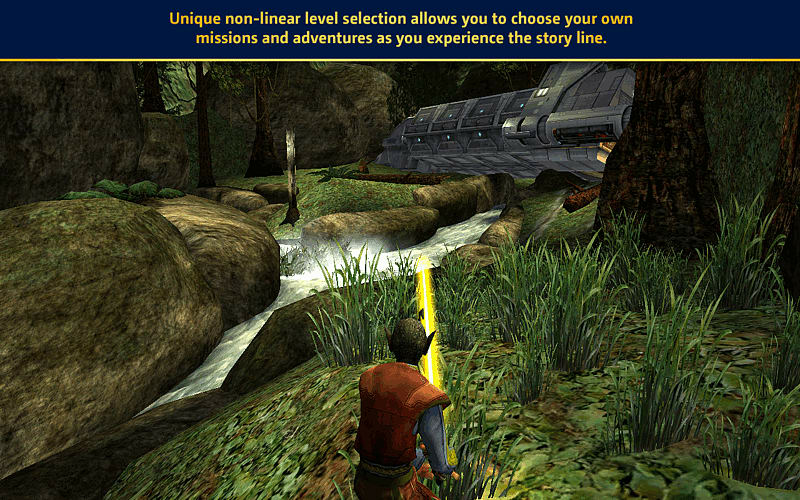 Enter into the Jedi Academy as a young and promising student, eager to learn the ways of the force. 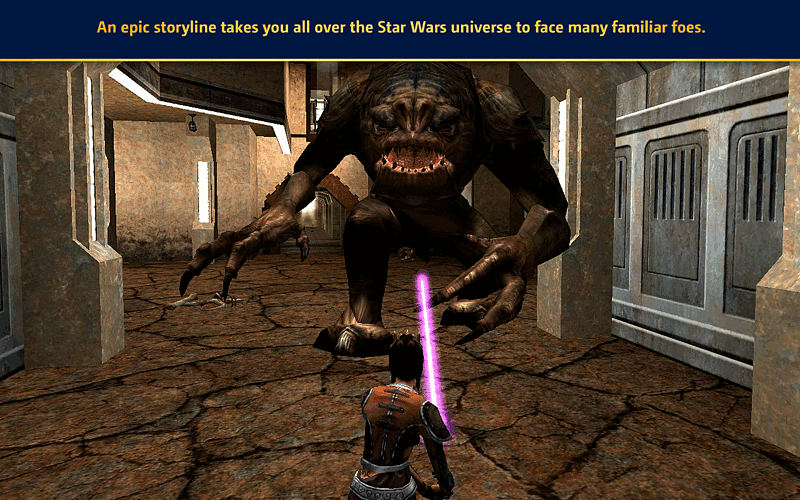 Learn the ways of the force from Luke Skywalker and choose whether to follow the path of good or evil. 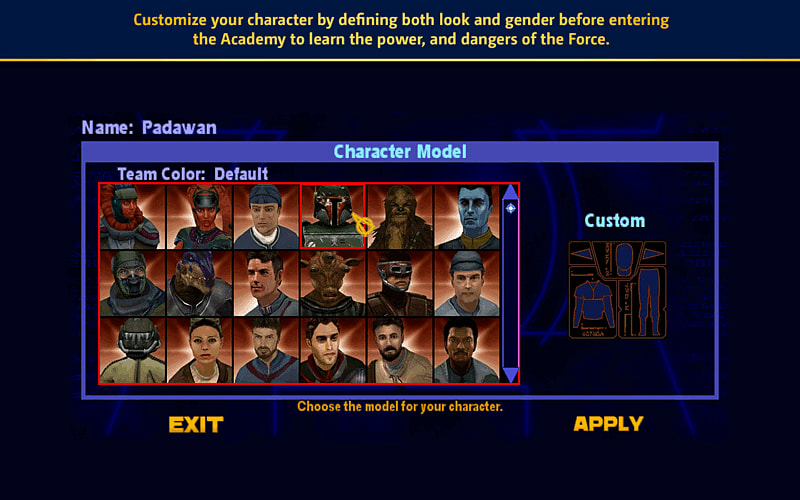 Customise your characters, gender and appearance to create a unique and personal character. 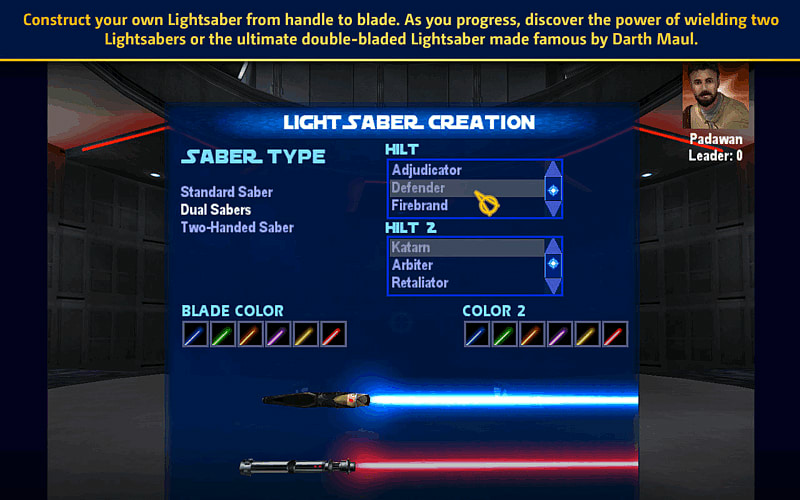 Design your own lightsaber suited to your own preference and play style. 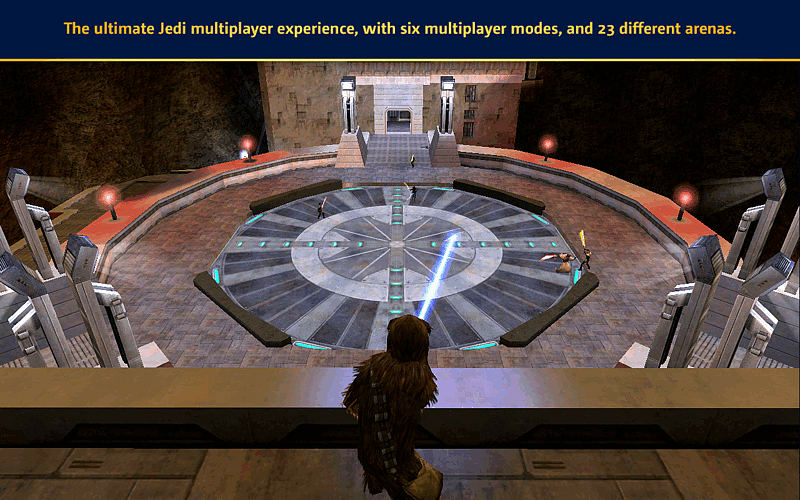 Put your Jedi skills to the test in online multiplayer featuring six different multiplayer modes.